Maintenance of your lawn equipment ensures that with the change of each season you are prepared for what mother nature throws your way. Chain Saw maintenance is no exception. Chain saws rely on a number of moving parts to get their job done and to make sure that it will be working at full capacity the next time you start it up you'll want to perform regular preventive maintenance. Whether you need regular maintenance or a chain saw repair, you can count on Altaquip, where lawn equipment repairs are our specialty. 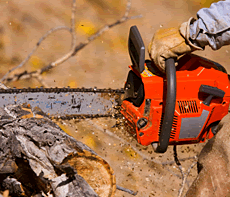 Some of the chain saw brands we service include: Echo, Husqvarna, Homelite and many more. Just stop by the location nearest you and we will perform the necessary maintenance with our fast and effective method.